Healthy #FabULyssfind For All Busy Parents Q & A With M.M. Meals- January 8th, 2017 : Divalysscious Moms – Fabulous events for expecting, new moms, and families in NYC! A new #DeLysscious personal chef advice I want to introduce you to in the new year is M.M. Meals. A personal chef service based in NYC. The company aims to be a weekly solution for families who are looking for healthy meals while highlighting the local flavors that New York state has to offer. As a personal chef service, they believe in the importance of connecting their clients to the direct source of their food and teaching children about healthy eating. Recently launched personal chef service, M.M. Meals, stands apart from its competitors on the Upper East Side through itsCSA coordination package, by supplying clients with local produce that is harvested merely hours prior. Community-supported agriculture has become an increasingly popular way to have direct access to local, organic produce in exchange for being a shareholder of a farm. M.M. Meals streamlines this process by arranging and picking up their clients shares on a weekly basis. Menu selections are tailored to your family’s food preferences and dietary restrictions while highlighting the produce from the weeks share. 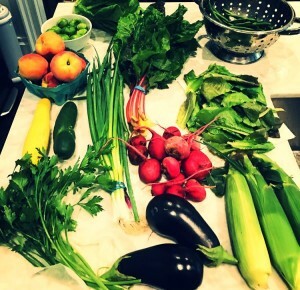 Having a chef then come to cook these selections in your own home allows for further learning about the farm itself, different vegetable varieties, and an opportunity for their children to learn along the way. M.M. Meals is accepting new clients for the 2018 season. To learn more, please visit their website at www.mmealsnyc.com and read the Q& A Below…. A:Growing up as the oldest of five children in a very family-oriented household, I watched my mom have to juggle the responsibilities of motherhood and work. I vividly remember the struggle to make new dishes each week that were healthy and also appealed to every one of us. It was a challenge and added a lot of unnecessary stress to her already crazy life. Later on, I went to school for hospitality management where I took a lot of cooking classes and realized that cooking was a healthy outlet for me. After becoming a household manager and meeting a lot of people through my job, I again saw the reoccurring theme of mothers wanting to have healthy dishes stocked in the fridge for their family but no time to do the shopping and prep that comes with it. 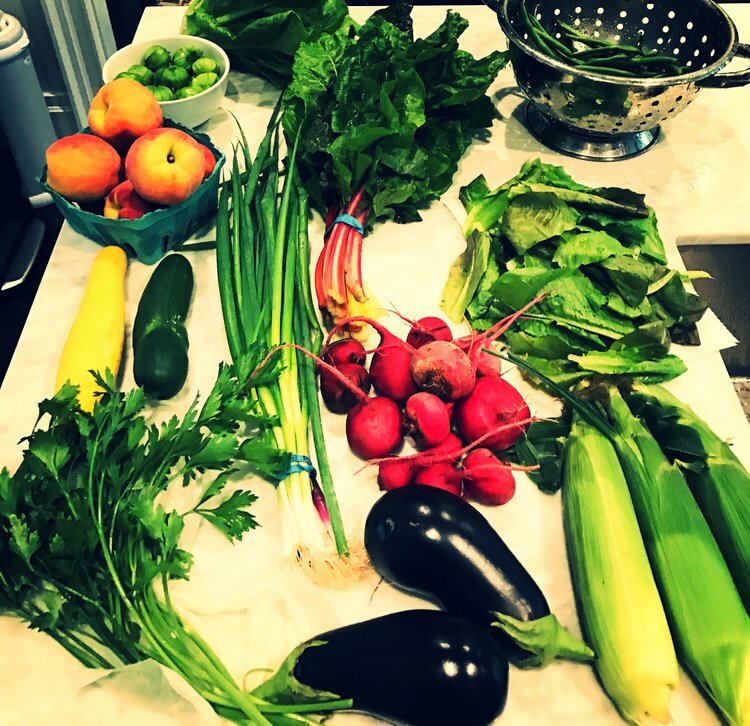 I took the demand for family-friendly cooking a step further by connecting it with my love for the Hudson Valley through our CSA coordination. We coordinate your share with the farm, pickup your produce each week and use it in your dishes. Q: Is there a monthly membership fee? How does it work? Can you pay weekly, monthly or yearly? What do you suggest? A: There is no membership fee! We try to make sure that as a service we are a good match for our clients and vice versa. We often have several conversations prior to meeting to get a feel for your family, the dynamics of the household, and what you hope to get out of hiring us. Our goal is to simplify every aspect of the process whether it’s selecting your menu for the week or paying your invoice. I recommend filling out our credit card authorization form and then allowing us to charge your card on a monthly basis. Q: How many family members does the service cook and shop for? If it’s over a certainly number, how do you make it work? Is there a capacity per family? A: Our service is customized to each client so it depends on what your family needs! We have cooked for smaller families as well as families with four + children. We make generous portions and are flexible with suggestions or if you need extra food for the upcoming week. A: As a personal chef service, we love working with clients on a weekly basis because it allows us to build a relationship with their family and we get acquainted with their food preferences and tastes much faster. Some clients have us cook two times week. We want to be a realistic, everyday solution for your family as opposed to a special occasion, personal chef service so your input is crucial. Menu options are sent via email a week prior to your scheduled service that you can pick and choose from. Once they are submitted back we will order groceries to your door before our visit. Q: Do you cook Kosher and Non Kosher depending on the family? A: Of course! We have a whole variety of clients including those who keep Kosher in addition to specific lifestyle diets such as gluten-free, paleo and vegan. We also work with clients and their nutritionists who have very specific goals and help them to execute the food portion of that. Q: Is there anything else you want our #divamams and #glamas to know about M. M. Meals? A: We love teaching children about healthy eating and where their food comes from! We encourage them to ask questions and want you to feel comfortable and at ease while we are in your home. Q: What is the best way for them to get in touch with you? Via email, cell? Please provide. A: We would love to hear from you and can be reached by email or phone! PS Please note… all #divamamas #glamas will receive a 10% #divadiscount off of your customized weekly meal package for the first three months. Start date, January 8th! 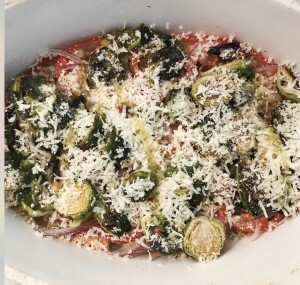 This vegetable dish is below is warm and comforting during the cold months of winter. Use this opportunity to break out your mandolin and find this dish assembled in thirty minutes or less. Feel free to replace the veggies with turnips, parsnips, carrots or whatever winter vegetables that you have in the house. The key is to cut the root vegetables into a uniform size to ensure even cooking. Make this dish year-round with seasonal veggies and experiment with different herbs and toppings. Enjoy! 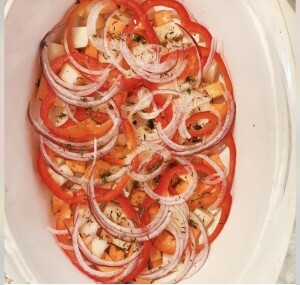 Diva Moms, we have a great vegetarian recipe from our friends at M.M. Meals that tastes as beautiful as it looks! Omit the cheese to make this dish vegan and let your guests be wowed with the presentation. Better yet, contact M.M. Meals to cook a bunch of healthy dishes like this for you! Please view the full recipe below…. Preheat the oven to 375 degrees Fahrenheit. Toss the yam and potato with salt, pepper, and 2 tablespoons of olive oil until coated evenly. Spread the veggies evenly along the bottom of a 13×9 baking pan. Arrange the pepper rings over the veggie mixture followed by the red onion. Sprinkle with salt, pepper, and 1 teaspoon of thyme. Drizzle the layer with 1 tablespoon of olive oil. For the final layer, add the halved Brussels sprouts with the remaining teaspoon of thyme. Drizzle with the last 3 tablespoons of olive oil. Bake for 25 minutes uncovered. Add the Manchego cheese and continue to bake for an additional 15 minutes or until the top is golden brown.